New Zealand offers a wide choice of towns where countryside meets coast in a dazzling display of fresh air and beauty. Here are our top five choices. In a country such as New Zealand, where in every direction you’re gifted with a great view, it’s mighty difficult to decide on just one location. For anyone set on living by the sea, today we’re investigating what’s on offer in a few of our favourite coastal towns and revealing what kind of budget you’ll need to snap up those ocean views. 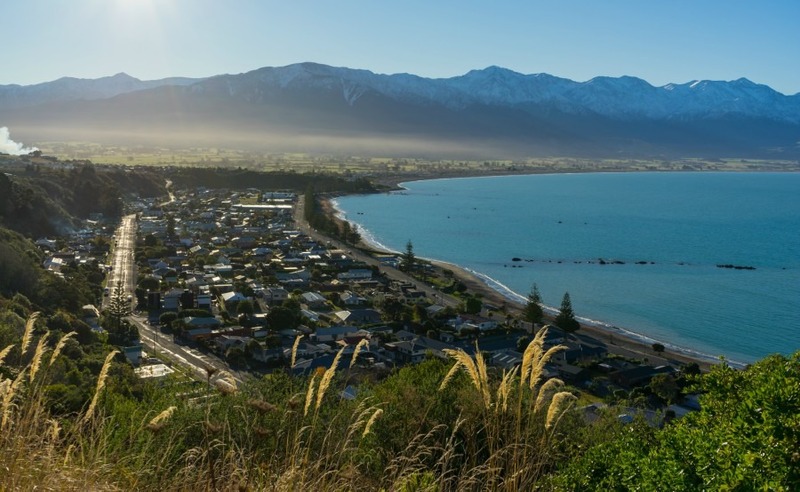 Kaikoura’s beaches are wonderful for swimming, fishing, scuba diving and kayaking. 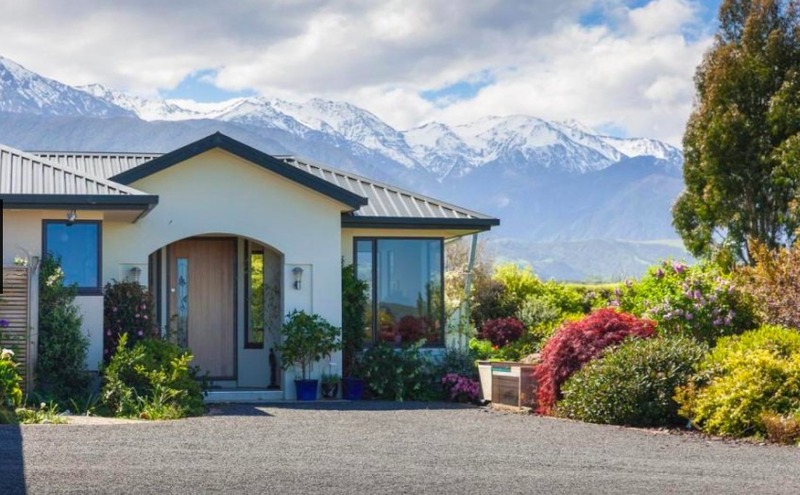 Kaikoura, a 100 kilometres or so north of Christchurch on South Island, hosts a varied population of retirees, artsy folk, families and couples who’ve had enough of big city life. Add in a healthy number of travellers, and you’ll see this is a welcoming, friendly spot with a lot going on. The nightlife is fantastic for a relatively small town – you’ll be able to enjoy fantastic restaurants, galleries and shops. You’ll never be short of a new activity to try either. Kaikoura’s beaches are wonderful for swimming, fishing, scuba diving and kayaking. Don’t be surprised if you find yourself exploring the waters with some of New Zealand’s wildlife, including seals, whales and dolphins. 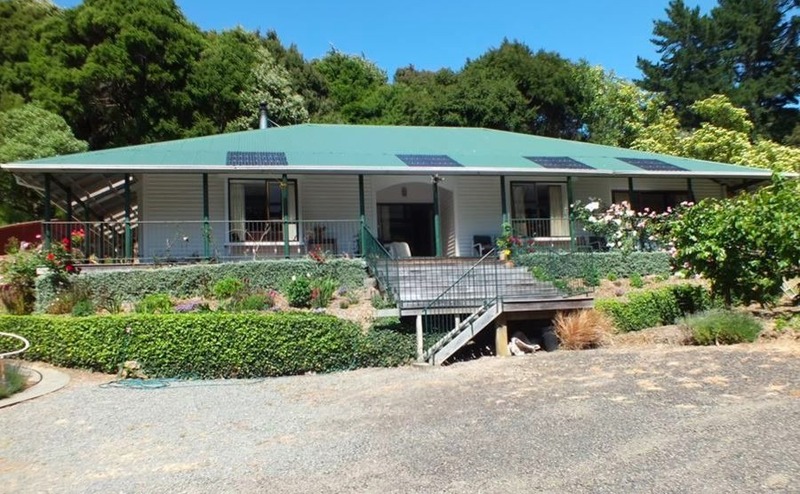 If you’re looking to start a business of your own in New Zealand, this 10-bedroom lodge and B&B business is already running successfully. It’s just five minutes’ drive from Kaikoura, the property overlooks both the water and the Kaikoura Ranges, and has its own spa. Way up on the North Island is Whakatane, in the Bay of Plenty. It is often described as the “Jewel of the North” and is a stunningly beautiful coastal spot. It’s taken home the title of New Zealand’s Sunshine Capital four times, and is an area rich in history and Maori culture. The Summer Arts Festival is a highlight of the town’s calendar, and celebrates theatre, film, dance, sculpture, and every other form of art. Ohope Beach is potentially the area’s best beach and White Island, just off the coast, is home to New Zealand’s solitary active volcano. 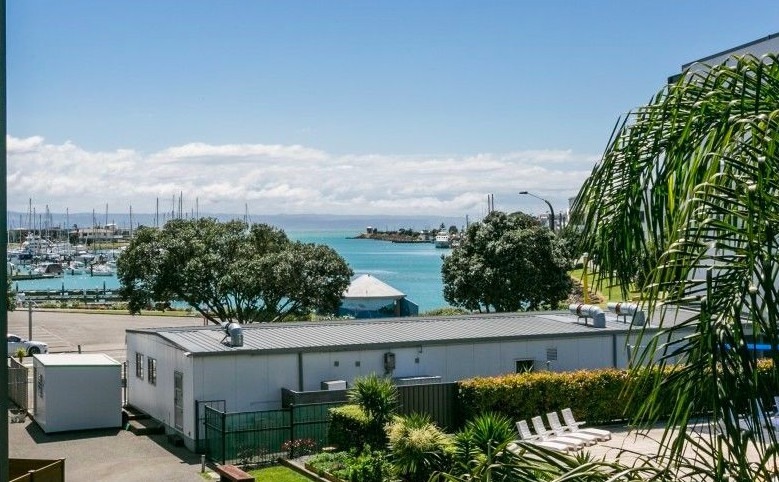 Enjoy waking up to views of the harbour and hills in this absolutely beautiful modern property. 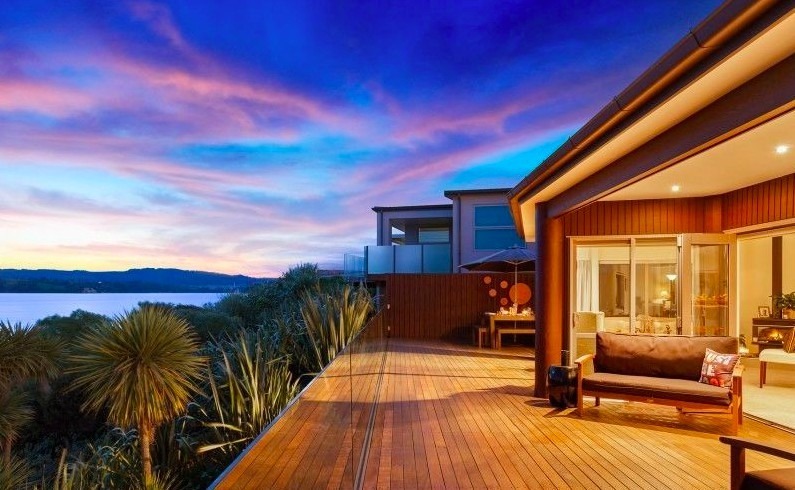 The house, which is on the market for NZ$1,150,000 (£607,000), has three bedrooms; each with its own balcony. Revel in the underfloor heating in the bathrooms and kitchen. The enormous deck is perfect for entertaining, working, or just sitting back and taking stock of your new idyllic life in New Zealand. Envious? Yes we are. Back down to South Island, this time to Picton; a charming coastal village tucked into a peaceful bay in Queen Charlotte Sound. Although the harbour is a serene spot, it does attract seafood lovers who flock here to sample the local catch of the day. If you’re a fan of the great outdoors, the Queen Charlotte Track boasts 71km of hiking trails along the coast, offering some of the best views in the country. Picton is also located in the Marlborough Wine Region, so not only do you get to enjoy life by the sea – you’ll have some of the world’s best wines being produced on your doorstep. Napier is a wonderful coastal town on the eastern coast of the North Island. The Art Deco town is home to a 10 kilometre stretch of beautiful beachside promenade, the Marine Parade. If that’s a little crowded for you, there are at least 10 beaches within 15 minutes of downtown Napier. This is another spot known for its wines – it’s located within the wine-producing Hawke’s Bay Region. 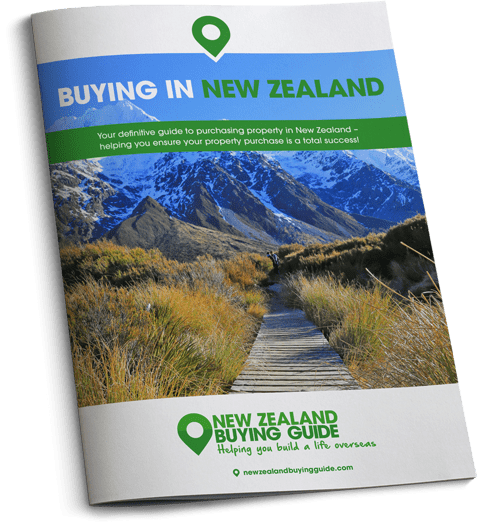 Wherever you wish to live in New Zealand, knowing how to negotiate for your property should get you a little more house for your money! Download our guide: How to Negotiate Abroad. This secure and modern waterfront apartment is on the market for $475,000 (£250,000). The apartment has two bathrooms, a spacious open-plan living and kitchen area and a generous private balcony. Around two-hours from Christchurch, you’ll find the quaint waterside town of Akaroa nestled in the hills overlooking Akaroa Bay. The town’s backdrop of hills and mountains, against the azure, dolphin-filled waters, makes it one of New Zealand’s most desirable coastal spots. Nestled up in Akaroa Valley, this fantastic family home enjoys sensational views of the hills and of Barry’s Bay. 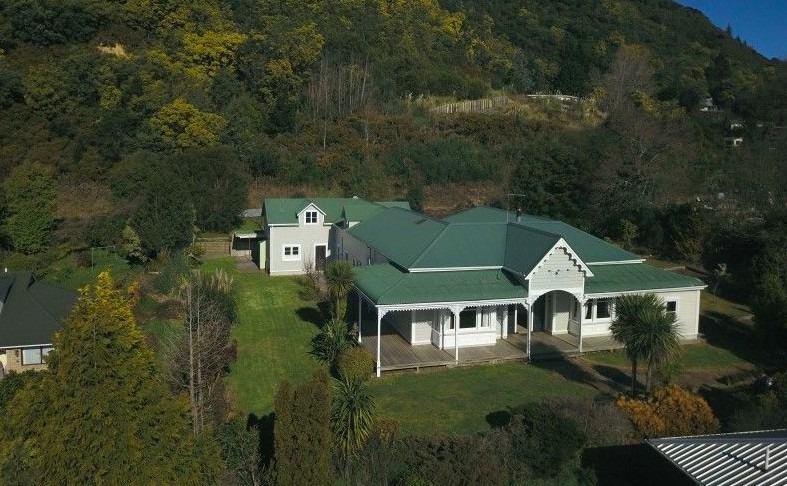 The four-bedroom property is set in three hectares of land, complete with paddock, vines and orchards.